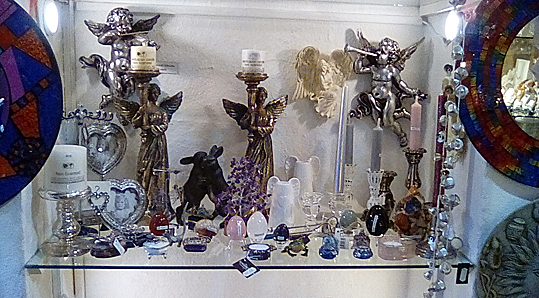 Yesterday, for the first time, I went inside Stepping Stones of Greenwich - a lovely psychic shop in south-east London. I'd often gone past Stepping Stones on a bus in the evening after work while on my way to a friend's house and always thought I'd really like to visit the shop when it was open. Yesterday I was on the same bus visiting my friend, but earlier in the day as we were both still on holiday. So, I decided to get off a few stops early and do a bit of browsing. 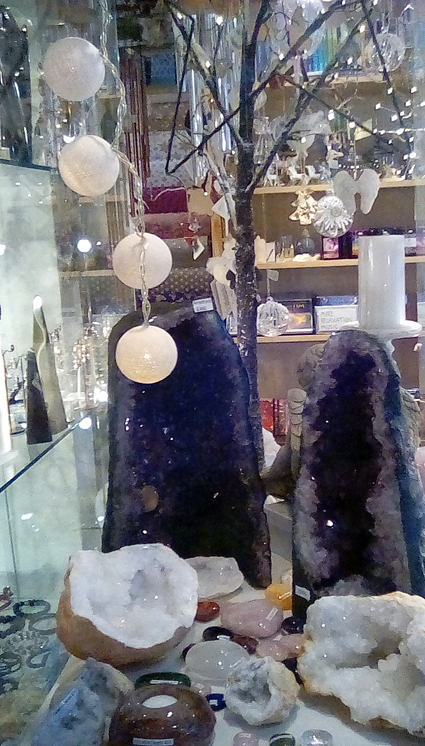 It was absolutely delightful to walk out of a grey, wet street into an Aladdin's cave of crystals and other treasures, all sparkling with festive fairy lights. 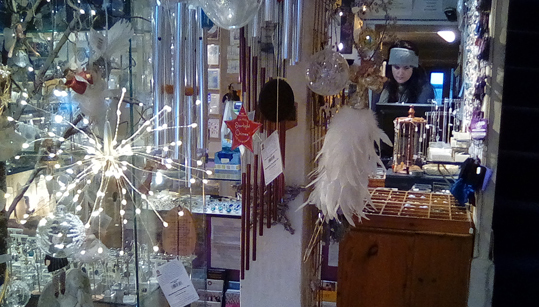 The shop was warm and friendly and there were so many tempting things to look at. 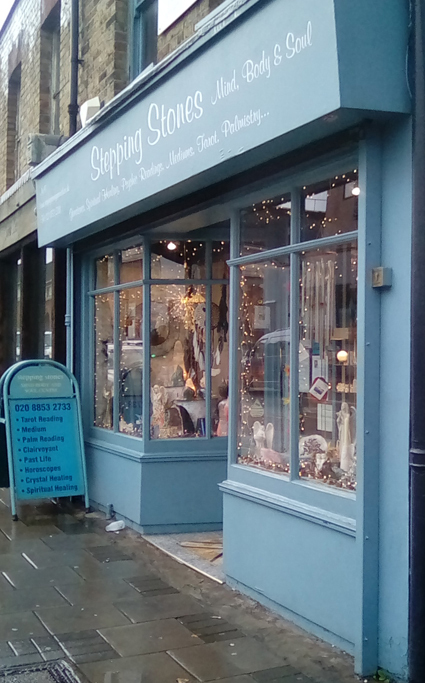 Stepping Stones Greenwich offers readings and therapies as well as selling a lovely selection of crystals, candles, incense, essential oils, ornaments, books and tarot decks. I also thought I'd try out the camera on my new Kindle Fire I was given for Yule. I took the photos you can see on this page and I was quite pleased with them considering they were all taken without using a flash.